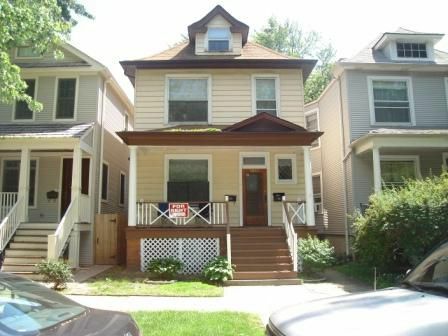 DUPLEXED 3 BED ONE BATH WITH C/A IN ROSCOE VILLAGE 2-FLAT. UPDATED KITCHEN AND BATH. THREE LARGE BEDROOMS PERFECT FOR ROOMMATES. CORIAN COUNTERS, HARDWOOD FLOORING AND FREE LAUNDRY. CLOSE TO TRENDY ROSCOE VILLAGE AND NIGHT LIFE. Available May 1st.